Here is a celebration of colorful projects in surface embroidery celebrating the seasonal flowers and fruits of the English garden. 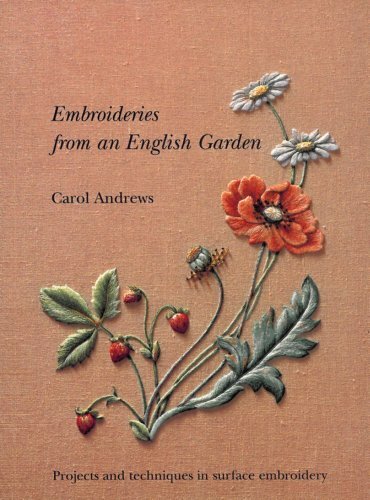 The book combines surface techniques with traditional designs in an exciting way, producing depth and other realistic effects which will delight and instruct embroiderers of all levels of experience. Full instructions, working diagrams, and color illustrations are used to explain the projects, while a separate section on stitches and techniques provides additional support.